The Govt. First Grade college, Tiptur was started in the year 2007-08 with 500 students in BA,BSc,BCom and BBM. It has been increased to 1000, in 2008-09. 1500 in 2009-10, 2000 in 2010-11, . 2500 in 2011-12, 3116 in 2012-13, 3356 in 2013-14. This college is affiliated to Tumkur University in Tumkur District of Karnataka. This college has achieved both quantitative and qualitative achievement in academic and administrative field. The special feature of this college is about 80% of students are Girls. They coming from rural villages of Tiptur taluk. Before the establishment of this college, Tiptur had only one Private Degree college but no Government Degree College. The college has its own building of 5.5 acres (both in old and new campus). 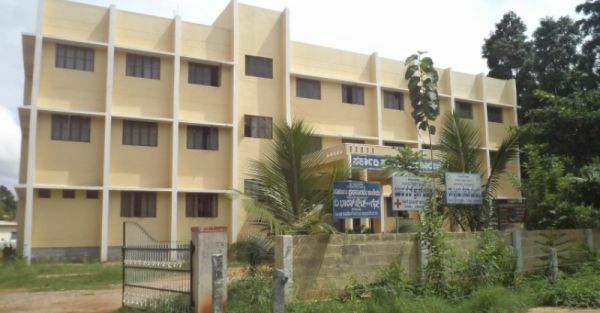 The college has 24 class rooms, 9 labs (Physics-2, Chemistry-2, Computer Science-2, Geography-1 and Psychology-1), 1 Auditorium, 1 ICT lab, 4 Glass rooms, 1 EDUSAT room. Now college is basically need more of class and lab rooms. There are 17 Departments in this college with 7 combinations in BA (viz. HEP, HEK, HES, HEG, PES, JKP and HEPsy), 2 combinations in BSc ( viz PMCs and PCM) and BCom, BBM as per Tumkur University Syllabus. There are 2000 plants are growing both in old and new campus of this college.